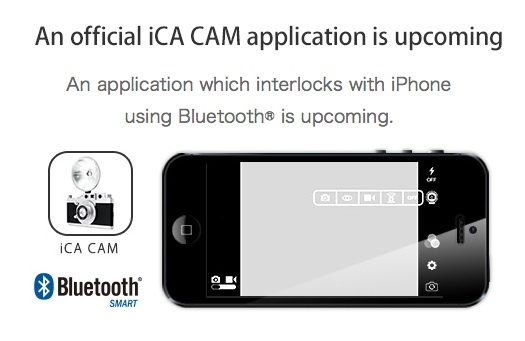 In order to control iCA FLASH using the iCA Cam, your iOS device has to be capable with Bluetooth 4.0. The newest Bluetooth4.0 chip is loaded on iCA FLASH. Bluetooth4.0 allows low electricity consumption but it is incompatible with the Bluetooth3.0. For this reason, you cannot control the iCA FLASH on iPhones which are not capable with Bluetooth 4.0. Previous Article GIZMON iCA has been introduced on the “German Design Award 2014” yearbook. Next Article “Ascii” published an article about GIZMON SMART CLIP.